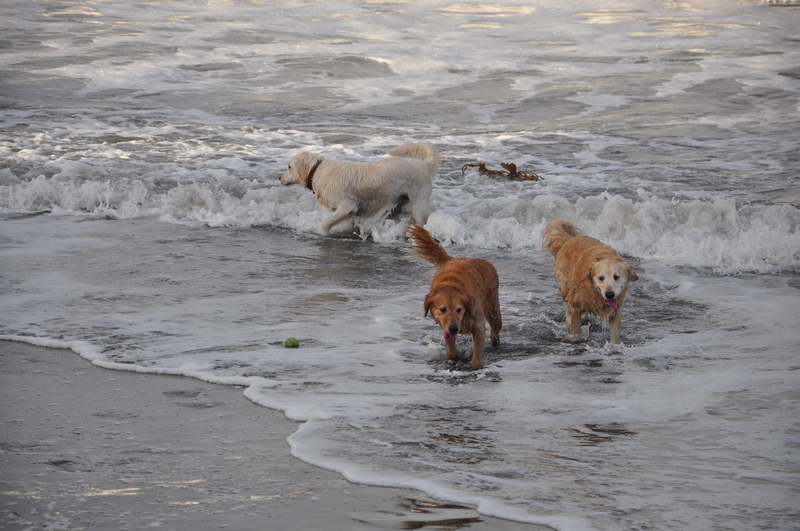 On my Christmas Vacation I got to play and walk with the big girls. I didn’t swim yet, but I will very very soon. I am still a bit timid around the water because it is coming at me so fast. I did get to run around and bark at the big girls. 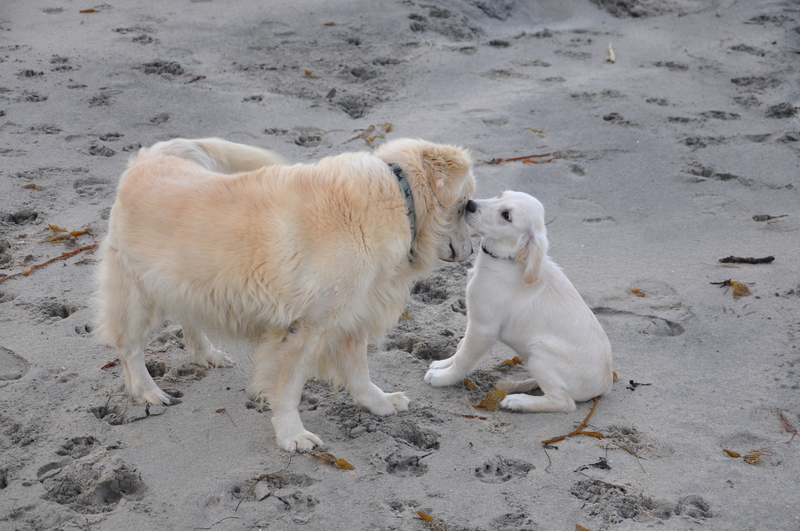 I also got to make friends with lots of other dogs on the beach. I learned that I don’t like Jack Russell terriers, or really terriers of any kind (they are really yippy). Overall I LOVE big dogs, and really friendly medium sized dogs. I started fetching this blue tennis ball and for some reason everyone got really excited when I did it, but it IS in my nature. I sort of just decided I wanted to do it. It’s fun because every time I bring the ball to someone they throw it for me again! All of the big dogs wanted to come smell me and play with me, some even wanted to run around with me. It was so much fun. I am learning so fast these days. Every time I go see my cousins in San Diego they show me new stuff about how to have fun, and how to make friends. 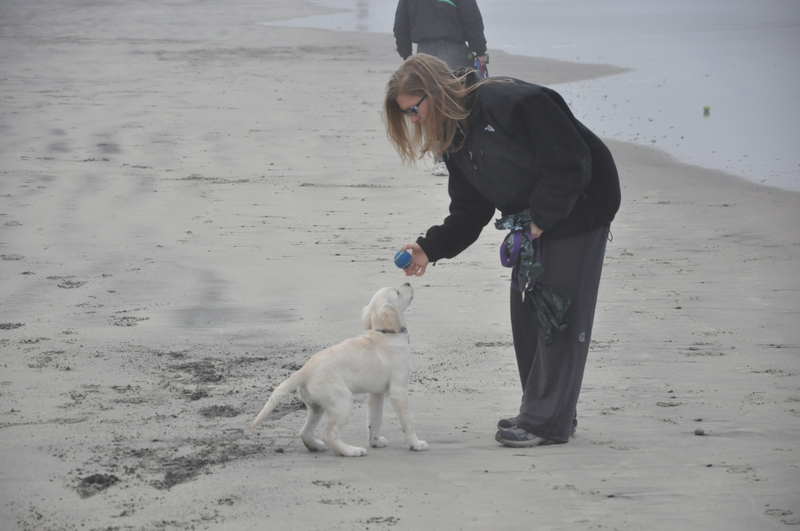 Mom says 'drop' so that I give her the ball. 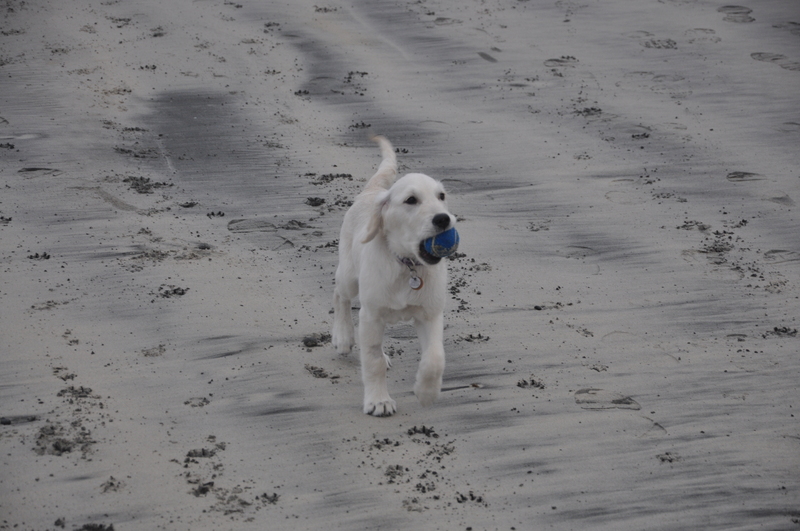 Someday I will fetch the ball in the water, but for now I only go get it when it is only on the sand. 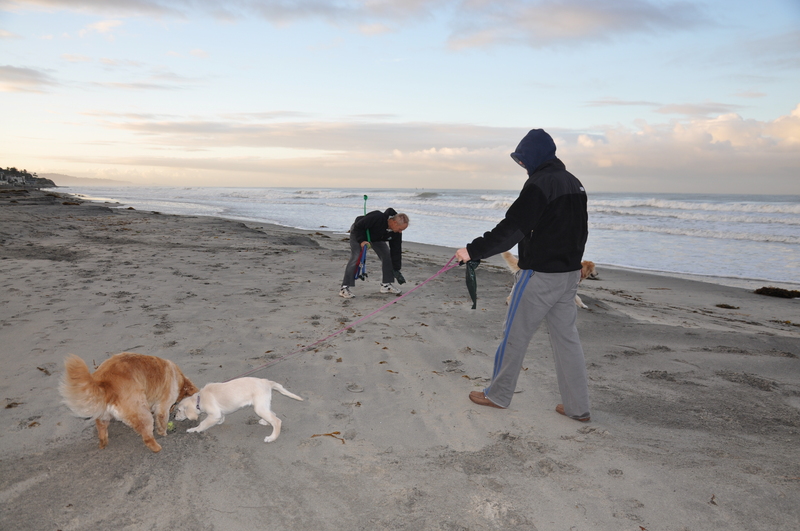 I also learned that I can ‘do my business’ on the sand as well. And here is a little taste of what I have to look forward to! Big girls playing in the water!